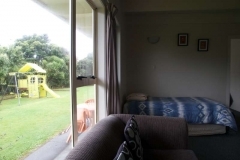 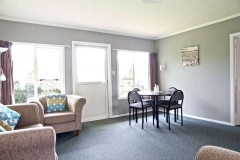 Our two-bedroom motel units are very spacious and suitable for families and groups. 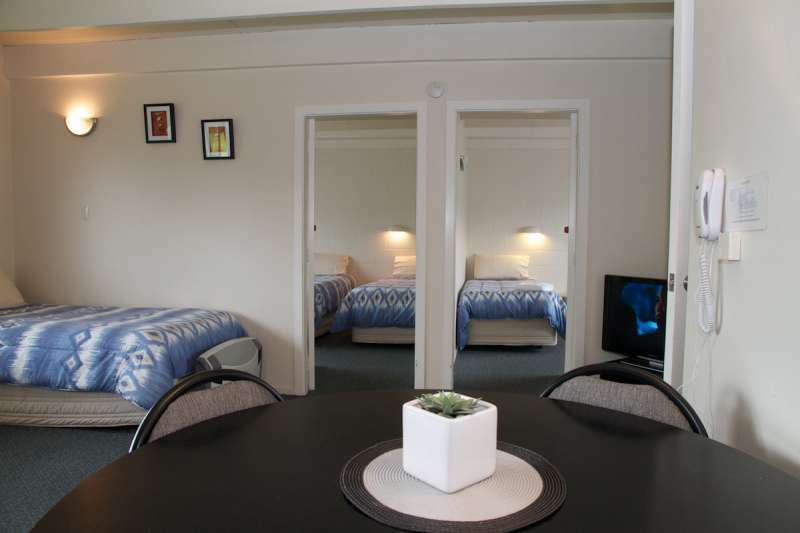 One bedroom has a queen sized bed and a single bed, and the other has two singles. 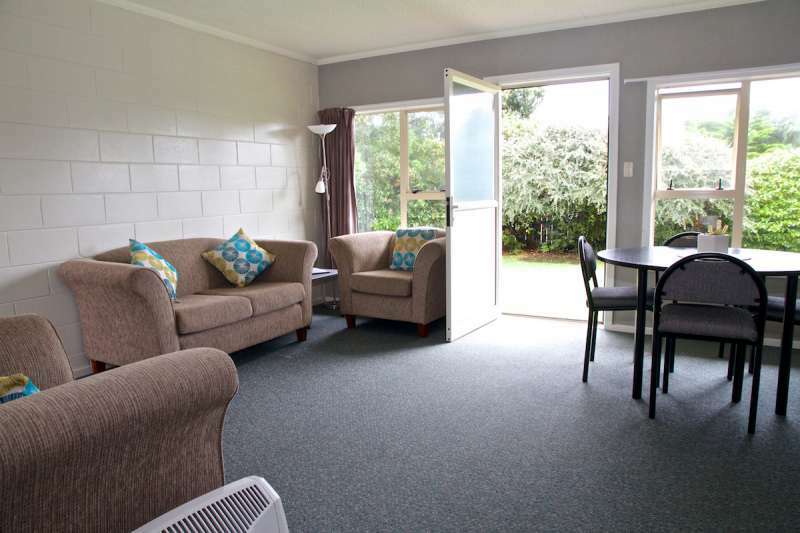 There is also a single bed in the lounge/dining area, and all beds have electric blankets. 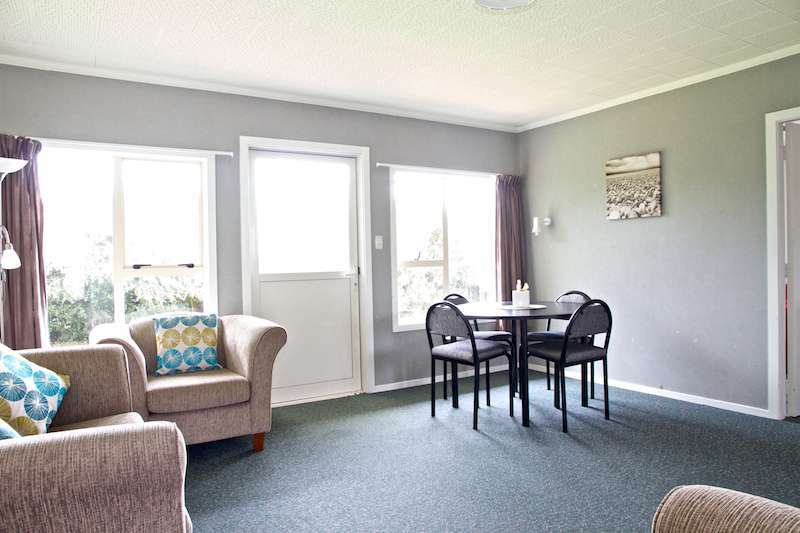 The lounge has ample seating with Sky TV. 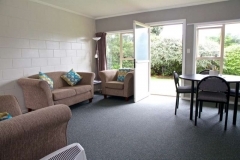 The bathroom has a shower with heater, and there is a separate kitchen with full cooking facilities. Parking is immediate to front entrance and units open to garden area with BBQ and children’s playground.